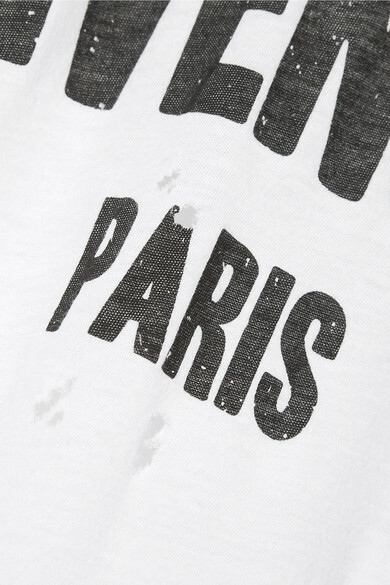 Logo prints make simple staples instantly cooler. 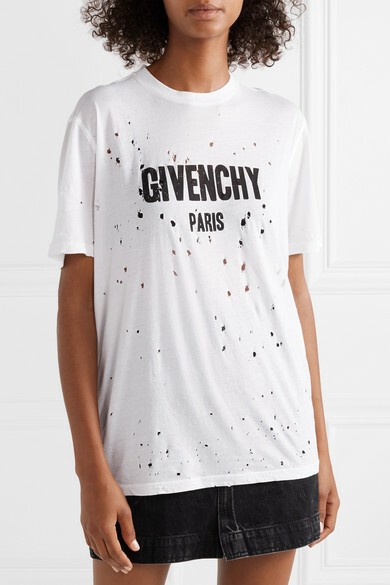 Givenchy's white T-shirt is cut from soft cotton-jersey patterned with the house's moniker in bold black lettering and punctuated with distressed holes. 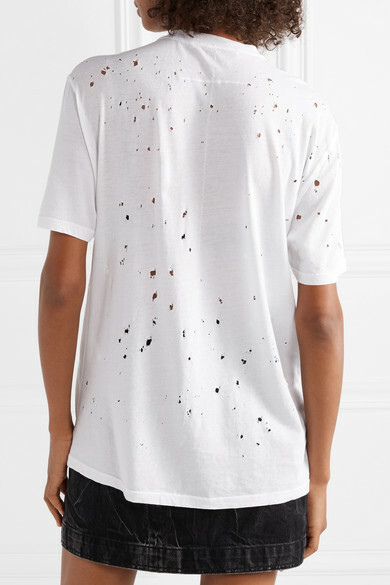 Balance the oversized fit by half-tucking yours into jeans or a mini skirt. 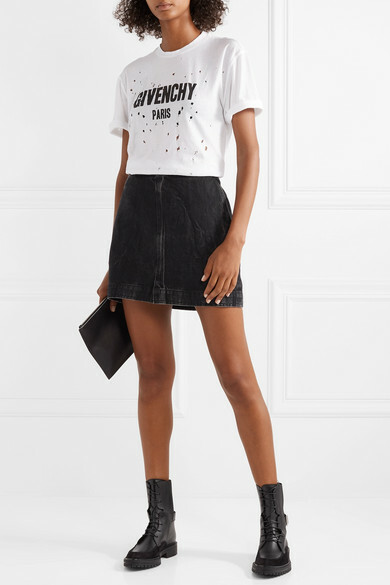 Shown here with: Givenchy Skirt, Givenchy Ankle boots, Givenchy Pouch.